Legislation aimed at amending Egypt’s constitution would allow President Abdul Fatah Sisi to significantly extend his time in office. 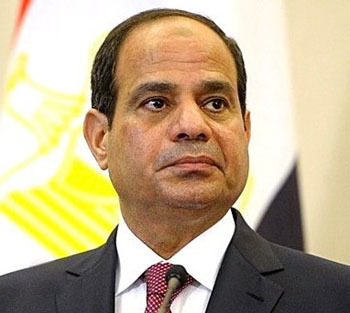 The amendment has been approved by a parliamentary committee and would lengthen presidential terms from four to six years and would allow Sisi to run for another two terms. Currently, Sisi’s second four-year term ends in 2022. If the amendment is approved, he could remain in power until 2034. If the amendment is approved by two-thirds of the 596-seat parliament, which is highly supportive of Sisi, it would be put to a referendum. In 2013, Sisi led the military’s overthrow of the Muslim Brotherhood’s Mohammed Morsi, who was elected president in June 2012. Sisi was re-elected in April 2018. After several rivals dropped out or were arrested, Sisi wound up with 97 percent of the vote. The committee also approved other amendments that would create the post of vice-president, reintroduce a second chamber of parliament, and strengthen the representation of women, Coptic Christians and disabled people. A small group of leftist parliament members denounced the proposals, saying they would cancel out the principal gain of the 2011 popular uprising that ousted longtime President Hosni Mubarak.